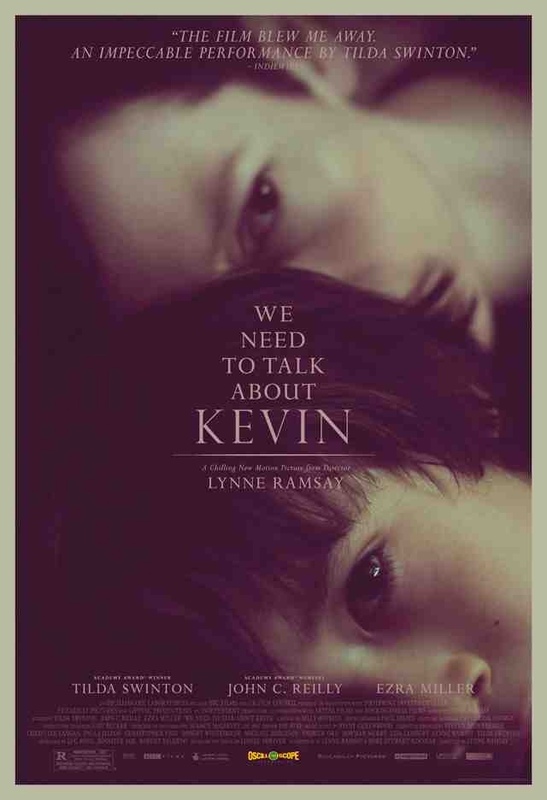 Screenplay: Lynne Ramsay, Rory Kinnear. Starring: Tilda Swinton, Ezra Miller, John C. Reilly, Jasper Newell, Rocky Duer, Ashley Gerasimovich, Siobhan Fallon, Alex Manette, Joseph Melendez. 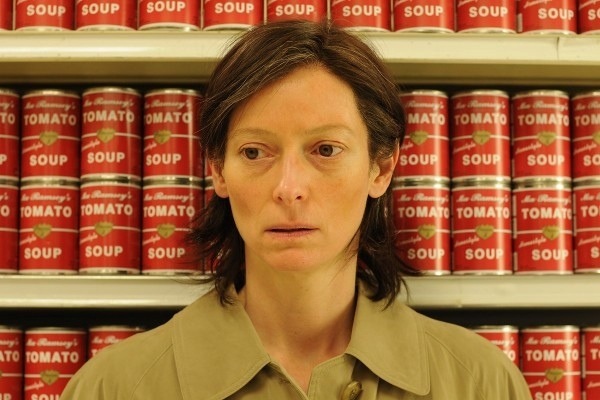 Scottish director Lynne Ramsay made her debut with the working class Glaswegian drama “Ratcatcher” in 1999. It was seen as an artistic breakthrough for independent cinema in Scotland but sadly it didn’t really catch on. She followed it up with “Morven Caller” in 2002 but no-one came calling. Then she was basically shafted for the duties on “The Lovely Bones” in 2009 – the studio preferring a more “experienced” director in Peter Jackson. Not to worry though as Ramsay has finally got us talking again. Based on the novel by Lionel Shriver, this tells the story of Eva (Tilda Swinton), the mother of a teenager (Ezra Miller) who careers off the rails, and her struggle to cope with the aftermath of his devastating actions, reflecting on the boy’s childhood and the breakdown of her relationship with both him and her absent husband (John C. Reilly). No less a horror than say, “The Omen” in it’s depiction of a troubled and dangerous child. But done in such an elusive and dramatic style that it falls into another genre altogether. If a horror director had gotten their hands on this material it would probably have been a slasher movie, but Ramsay brings dramatic weight. The story progresses with a certain distance from the audience, painting the characters in such a fragmented and elusive light, making us uncertain of the outcome. When the unravelling occurs it’s no less effective whether you predicted the outcome or not but that’s thanks in large to Ramsay’s hypnotic direction and intense performances from her actors. Ezra Miller channels the perfect malevolency and Tilda Swinton is absolutely superb as a mother (and person) at the end of her tether. Unfortunately, the talented John C. Reilly is given very little to do as the loving father in the chaotic household and doesn’t quite suit the role. However, the film’s main focus is on a mother and her son and any other characters are secondary. For this reason, I found it’s elusive nature a bit too distant and hard to identify with the characters. An unsettling drama that packs a powerful punch, but it’s not entirely easy viewing and may leave a bad taste for some. This entry was posted on February 8, 2012 at 8:16 pm and is filed under Drama with tags 2011. You can follow any responses to this entry through the RSS 2.0 feed. You can leave a response, or trackback from your own site. Swinton and Miller were indeed superb. The film had lots going for it. I was tempted to rate slightly higher, if it wasn’t for the fact that if was difficult viewing. When I first saw this film I didn’t like it, then I started to think about it and talk about it. It really is a good film, but hard to watch. Exactly. It’s not what I’d call entertainment that’s for sure. Although, it did have several moments of quality. I agree that perhaps john Reilly was mis-cast in this role. I think you have rated it correctly, it was a thought provoking film about relationship and blame and enduring suffering although it was probably unable to deal with this issue deeply enough and still keep moving along as a drama in the given timeframe.